If you're yet to buy into the PVC trend, now is the time to invest - there are so many great options this season. Made in Italy, Tabitha Simmons' 'Leticia' sandals have clear front straps trimmed with scalloped white leather edging. Wear yours with everything from cropped jeans to summery jumpsuits. 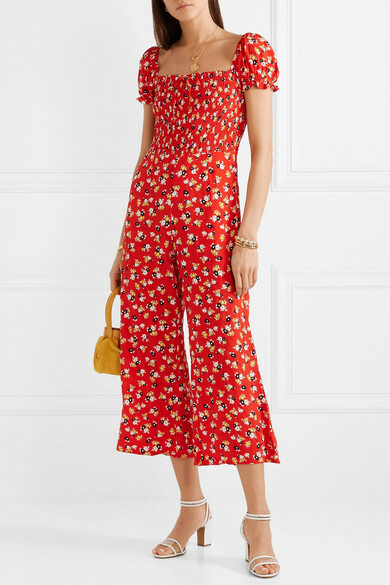 Shown here with: Faithfull The Brand Jumpsuit, REJINA PYO Tote, Chan Luu Cuff, Sophie Buhai Earrings, Sophie Buhai Cuff, Isabel Marant Bracelet, Alighieri Necklace, Alighieri Necklace.